In the summer of 2018, the National Geographic Society launched the global "Planet or Plastic?" campaign, encouraging all local partners to find ways of reducing plastic consumption in their operations. March 28, 2019 - The Navigator Company announced that as of April it will supply National Geographic magazine with paper for an envelope to replace about 150,000 plastic bag enclosures per year in Portugal. 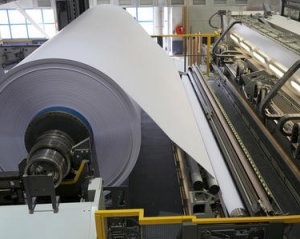 "Paper is today the most recycled product in Europe, with a recycling rate of 72.5% in 2017," The Navigator Company added. Based in Portugal, The Navigator Company is a leading European manufacturer of uncoated printing and writing paper and bleached eucalyptus pulp. To learn more, please visit: thenavigatorcompany.com.